1921: The inaugural Women’s Olympiad begins. It was the first international women’s sports event and lasted five days, from March 24 through 31. It was held in Monte Carlo at the International Sporting Club of Monaco. Two more Women’s Olympiads were held, one each year, at the same venue. The International Olympic Committee ruled that women’s events would not be included in the 1924 Olympic Games. Alice Millian and Camille Blanc organized games for the women to compete. Five nations (France, Italy, Norway, Switzerland, and the United Kingdom sent 100 athletes to participate. France had the most athletes present with 58 and the UK had 21. The women competed in 11 different events from track and field. There were several races of various distances and relays along with high jump, long jump, standing long jump, javelin, and shot put. There were also exhibition events showing women playing basketball, gymnastic events, and pushball. France and the UK took all the gold medals in the events. The tournament was held at the Tir aux Pigeons in the gardens at the Monte Carlo Casino, a venue for gambling as the name implies, but it also serves as an entertainment complex for live theater and ballet. These international women’s sporting events would later turn into the every-four-year women’s World Games which were organized by the International Women’s Sports Federations, also founded by Miliat. Although she worked as a professional translator, she was interested in all sports. She was, herself, a participant in the sport of rowing. She was a member of the Femina Sport, a club founded in 1911. Through her work, the Women’s Olympic Games were held in 1922, which infuriated the IOC who insisted on the sole use of the term “Olympic”. Miliats was convinced to change the name of her event after the IOC offered to add ten women’s events to the 1928 Olympic Games. The next time Miliat’s event was held, the name was changed to Women’s World Games. The Women’s World Games were held in Paris and again only had five nations participating. France, the United Kingdom, and Switzerland were joined by Czechoslovakia and the United States. There were again, eleven events played out before a crowd of 20,000. Eighteen new world records were set. The games were held twice more with the 1930 Games in Prague and the 1934 Games in London. The International Association of Athletics Federations took over the planning of future events after 1934. March 24, 1832: Joseph Smith, Jr. is tarred and feathered. Smith was the leader and founder or Mormonism. He was born in Vermont in 1817 but the family soon moved to western New York, a hotbed of religious revivalism during the Second Great Awakening. Smith experienced visions where he was directed to a buried book of golden plates. In 1830 he published an English translation of the texts found on the plates – the Book of Mormon. He also organized a Church of Christ and claimed it to be a restoration of the early Christian church. Later visions instructed Smith to rename his church the Church of Jesus Christ of Latter Day Saints. In 1831, he and his followers moved west and hoped to form a commune of the American Zion. Smith and his wife, Emma Hale Smith, moved to Kirtland, Ohio. There is a possibility they moved west in an effort to get away from persecution in Pennsylvania and New York. They lived with Isaac Morley while they waited for a house to be built for them on the family farm. Others of their group went to Jackson County, Missouri where Smith had been instructed to build the new Zion. While in Ohio, Smith was dragged from his bed in the middle of the night, beaten, strangled, poison pressed against his teeth, and tarred and feathered. He was left for dead, but managed to survive the degradations. Tarring and feathering have been in use as a means of unofficial justice or revenge since feudal days in Europe. It was mostly a type of mob vengeance, similar to lynching. A typical attack had the victim stripped to the waist, as Smith was, and then tar applied. The victim was then covered in feathers or possibly rolled in a pile of feathers. Usually, the next step was to parade the humiliated person through town. Petroleum tar, what is used to tar roads, would have been so hot it would have burned skin off the individual. Pine tar has a lower melting point. While it would be very hot, it would not be as extreme. Unless the tar was boiling, it was not necessarily a brutal procedure. Smith’s friends scraped the tar and feathers off until his skin was raw. The speculation for what incited the crowd is varied. There are some who believe that Eli Johnson, a son of Smiths’ host, wanted to punish Smith with castration for his closeness to Nancy Miranda Johnson (his sister). Another possible motive was that Symonds Ryder, another participant in the night’s events, was fearful Smith was trying to take property from members of the community. This was to warn him against such actions. Whatever the reasons for the attack, the person who paid the highest price was an adopted child of the Smiths. This baby was torn from Smith’s arms and put on a trundle bed. The child was knocked from the bed as the adult Smiths were dragged from the house. The child died of exposure, possibly pneumonia, five days after the event. I told the brethren that the Book of Mormon was the most correct of any book on earth, and the keystone of our religion, and a man would get nearer to God by abiding by its precepts, than by any other book. 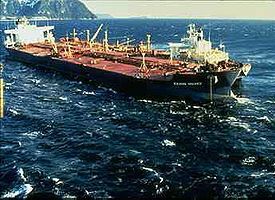 – all from Joseph Smith, Jr.
Also on this day: Alaska Mess – In 1989, the Exxon Valdez ran aground and began to spill oil. Cruising – In 1898, the first American built automobile was purchased. Metropolitan Life – In 1868, the insurance company was formed. Beating a Killer – In 1882, Robert Koch announced the cause of TB. You’re in the Army Now – In 1958, Elvis Presley was inducted into the US Army. March 24, 1958: Elvis Presley is inducted into the US Army. Elvis was born in 1935 in Tupelo, Mississippi and his identical twin brother was stillborn 35 minutes later. As an only child, Elvis formed a very close bond with both his parents. The family moved to Memphis, Tennessee in 1948 and for almost a year they lived in rooming houses. While in eighth grade, Elvis received a C in music and his teacher told him he had no aptitude for singing. The next day, he brought his guitar to school and sang a popular song in order to change her mind. All she would agree to was that she didn’t like his kind of singing. By 1950 he was practicing guitar with Jesse Lee Denson, his neighbor, and with three other boys they formed a music group and played frequently in the area. Elvis never had any formal music training and could not read music. However, he was able to listen to and copy the songs he heard played in jukeboxes. In August 1953 he brazenly walked into the offices of Sun Records to record a couple songs. He recorded again in January 1954 and none of these songs went anywhere. He ended up driving a truck instead. Again in the recording studio on July 5, things were going poorly when Elvis grabbed his guitar and played an older song, singing boisterously. This was the sound the studio was looking for. First came more recording and then Elvis was invited to play on television. His hit, “Heartbreak Hotel” brought him fame and a chance to expand. His first TV appearance on the Milton Berle Show was on April 3, 1956 and he then made appearance with both Steve Allen and Ed Sullivan. His first appearance on Sullivan’s show was seen by about 60 million viewers or 82.6% market share. In his first year recording for RCA, then one of the largest music companies, Elvis’s recordings accounted for half of their singles sales. He was a star. But when he was 21, he – like every other American male – was up for the draft. His manager worked for more than a year to get him into Special Services, but when the draft notice came, Elvis insisted on being just one of the guys and not getting any special treatment. Elvis assumed his career was already over anyway. During basic training, he was notified that his mother was ill. He was given a pass and made it home just two days before she died. After finishing training he was station with the 3rd Armored Division in Friendberg, Germany. It was there a sergeant introduced him to amphetamines. Elvis thought they not only energized him but also were great for strength and weight loss. His drug use would be a contributing factor in his death. All his army buddies insist that he wasn’t given special treatment but did do special things for his compatriots. He was discharged on March 2, 1960 and got back to his regularly scheduled stardom. March 24, 1898: The first American-built automobile is purchased by Robert Allison of Port Carbon, Pennsylvania – a coal mining town. The Winton horseless carriage was made by Scottish immigrant Alexander Winton. The Winton Bicycle Company incorporated in 1897 and began hand building cars, piece by piece. The body had painted sides. There were padded seats, a leather roof, gas lamps, and B. F. Goodrich Company supplied the rubber tires. Winton advertised his product in Scientific American and sold 22 cars the first year. James Ward Packard bought a car and liked it so much, he started his own company. Even with competition, Winton remained the top selling car manufacturer of 1899 when the company sold more than 100 cars. Not only was he making the car available, but to deliver the carriage, he designed and built the first car hauler. By 1901, publicity created an expanding market when two of the Vanderbilts purchased Winton cars. In that same year, Winton’s car lost a race to young Henry Ford of Grosse Pointe, Michigan. In 1903, Horatio Nelson Jackson took 64 days to drive his Winton touring car from San Francisco to New York City, the first person to drive across the country. The car had to be hoisted over rocky terrain and mud holes. By 1904, Winton was producing cars with seating for five passengers at a list price of $2,500 (about $54,000 today). More and more companies began to compete for the new market and by 1924 Winton stopped building cars. He did continue to build engines until he sold the company to General Motors in 1930. There have been literally hundreds and hundreds of car manufacturers in the US that have now gone out of business. From ABC to Zabardust, from Armstrong Electric – formed in 1885 and later a builder of cars – to Oldsmobile which went out of business in 2004. Auto-locomotion was written about as early as 1678 using a steam engine, however there is no physical evidence to suggest any were built. The first gasoline powered car was built by Karl Benz in 1885 in Mannheim, Germany. In 2002 there were about 590 million passenger cars in the world, about one for every eleven people. This article first appeared at Examiner.com in 2010. Editor’s update: Concept cars are built to showcase either new styling or new technology. They are often shown at motor shows where the makers/designers are able to gather customer reaction to the vehicle. General Motors designer Harley Earl is often cited as inventing the idea of a concept car. These vehicles never go into production directly (as these early makers of cars did with their innovative designs) but go through many different designs. New cars are built with an eye toward safety and cost as well as being practical and pleasing to the consumer market. Another name for these avant guard cars are prototypes although many of them never get built as mainstream cars for sale to the general public. March 24, 1882: Robert Koch announces he has discovered the causative agent for the killer disease – tuberculosis (TB). Koch discovered the disease was caused by a bacterium. It was named Mycobacterium tuberculosis. The disease has been around for thousands of years. The earliest finding of M. tuberculosis is in the remains of a bison dating form 18,000 years ago. How the disease came to infect both cattle and humans is unknown. TB has been found in the 9,000 year old skeletal remains of humans as well as in Egyptian mummies dating from about 5,000 years ago. It didn’t reach South America until about 2,500 to 3,000 years ago. The Greeks called the disease phthisis. In ≈ 460 BC Hippocrates noted it was the most widespread disease and usually resulted in death. TB produces various symptoms and it was the 1820s before it was found to be all one disease. It was also called consumption and those with the disease were often consumed by it. The most frequent site for the bacterium to attack is the lungs, but it can and does attack all the major body systems. TB is spread through the air as victims cough and sneeze. It remains endemic in African and Asian countries with 1.9 million people succumbing to this killer in 2009 alone. Robert Koch announced his findings of the causative agent of this horrible disease in 1882 when one out of every seven deaths was caused by TB. He was already famous in the study of bacteriology, being named as the co-founder of the science with Louis Pasteur. By 1881 he was advocating for heat sterilization of surgical instruments. He won the Nobel Prize in Medicine in 1905 for his work with TB. He formulated Koch’s postulates which form the basis of bacteriology studies. Today, about one-third of the world’s population has been infected with TB. The disease can be latent, meaning the bacteria exists in the body but in small numbers and does not produce symptoms. Active TB does cause symptoms and if untreated is usually fatal. People are more susceptible to the disease if their immune system is compromised. The US has 25,000 new cases per year with about 40% of those occurring in immigrants from endemic regions. It was once hoped we could eradicate the disease completely. However there have been drug resistant strains developing, some resistant to multiple drugs. Alaska Mess – In 1989, the Exxon Valdez ran aground and began to spill oil. March 24, 1868: The Metropolitan Life Insurance Company is formed. Commonly called MetLife today, the mutual organization went public in 2000. It is the largest life insurer in the US. They have more than $3.3 trillion of life insurance in force. C. Robert Henrikson is the Chairman, President, and CEO of the company. They are headquartered in Manhattan in New York City. They maintain office space in the MetLife Building, but it was sold in 2005. In 1863, a group of New York City businessmen raised $100,000 to found the National Union of Life and Limb Insurance Company. They insured Civil War sailors and soldier against disability due to the war. By 1868, the company had undergone several reorganizations as well as several difficult years. They opted to focus instead on life insurance. Their primary focus was “ordinary” insurance sold to the middle class. Dr. James R. Dow, a retired physician from Brooklyn, was the first person to buy a policy from the new company. He purchased his policy on March 25, one day after the company opened for business. He was also the company’s first President. The company’s office space was two and a half rooms that first year and was located in Lower Manhattan. By the close of business in 1868, the company had sold 1,477 policies for $4,300,000. The next year, they moved to an office on Broadway. By the end of 1870, the company had more than $13,000,000 in life insurance on its books. In 1877, the first female employee joined the firm. They also got their first typewriter that same year. In 1879, they began selling “workingmen’s” insurance and by the end of 1880 had sold 213,878 industrial policies. Because of high prices, many holders let their policies lapse and fewer than 1 in 12 reached maturity. The federal government stepped in passed laws to avert misuse of the investment. As the company grew, they eventually needed larger office space. In 1980 they purchased the Pan Am Building [the largest single building purchase in history] and renamed it the MetLife Building. In 2000 they launched the seventh largest IPO in US history. They sell many types of insurances as well as other investment products. They serve clients in the US as well as in Asia, the Pacific region, Europe, and Latin America. Cars – In 1898, the first Winton is purchased in the US.